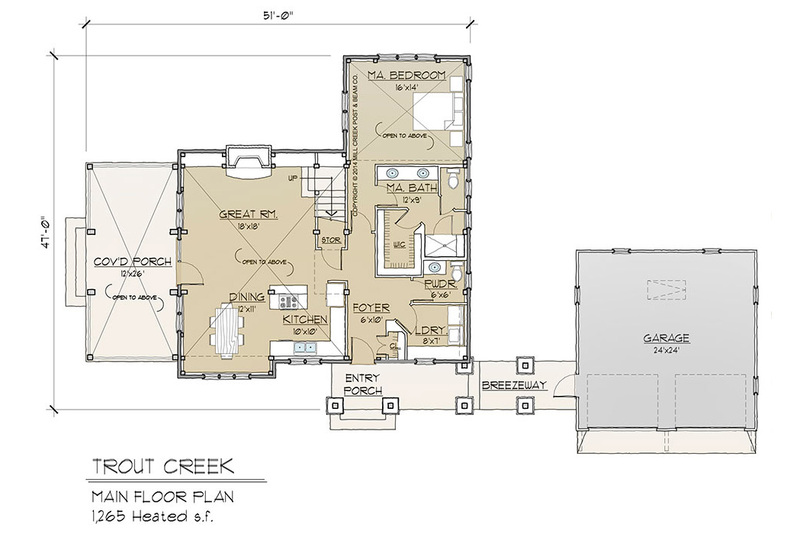 This intricately compact cottage design combines dramatic space and an efficient floor plan. 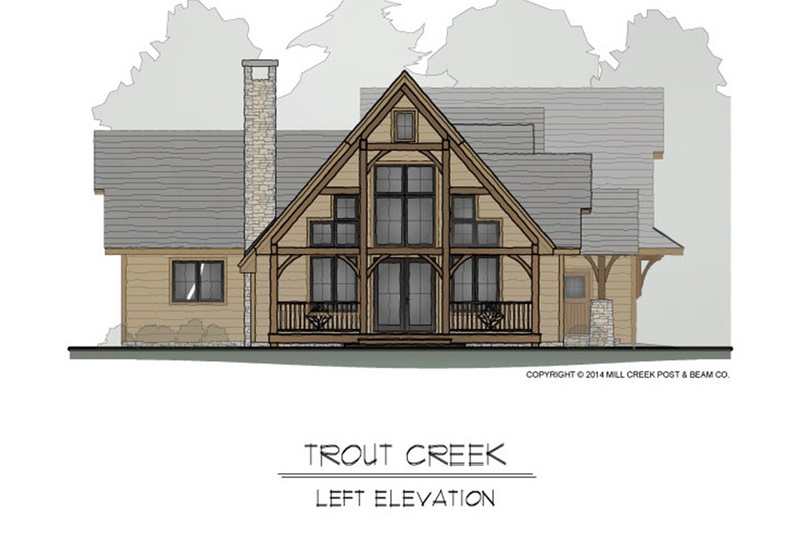 Welcome guests into a warm, flat timbered entry that gradually reveals a stunning cathedral ceiling and an expansive window wall to the outdoors. Half of the house is the ideal combination of kitchen, dining, and living rooms, allowing for boundless family time with plenty of elbow room. 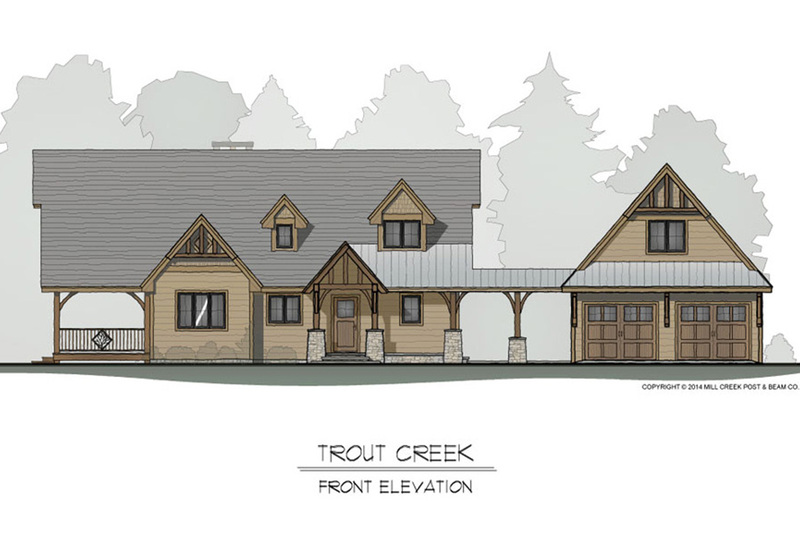 The remainder of the Trout Creek creatively utilizes the volume of the timber frame to accommodate two bathrooms and two attractive bedrooms. 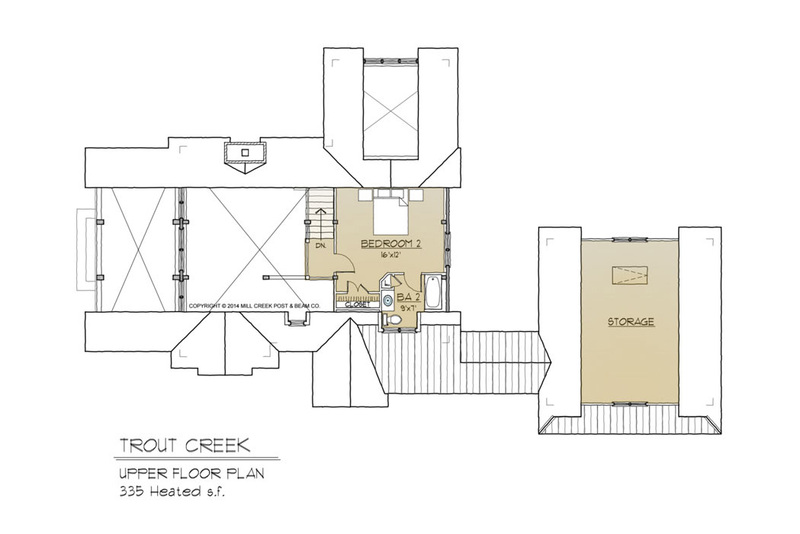 Build on a full or partial basement to add ample square footage to this plan.